Born in Hertfordshire some twenty miles north of London, during the Second World War, Terry O’Neil has lived the majority of his life in the Midlands, England. For the past thirty-nine years he has resided in Stourbridge on the edge of the ‘Black Country’. After spending his school years in Coventry, his early working career revolved around the motor industry in the Midlands and was employed first by the Rootes Group in the Sales and Marketing department. He then moved to British Leyland based at Longbridge in Birmingham, where he undertook franchising and sales positions within the Company. The demise of British Leyland resulted in Terry venturing into the world of self-employment, setting up a small Company dealing in office supplies, and managed the business for twenty years before retiring. Business was kind to Terry and allowed him the luxury of purchasing his dream car – a Ferrari, which he kept for eighteen years. The ownership of his car opened up new opportunities, as he became a member of the Ferrari Owners Club, was on the Club committee and became the Club Archivist. It led to writing historical articles for the Club magazine and expanded to writing articles for Cavallino magazine, Vintage Racecar Journal, the Austin-Healey Club of America and the Porsche Club of America. To date Terry has had four books published, about the Bahamas Speed Weeks, Northeast American sports car racing and early 50’s sports car racing on military bases in America. 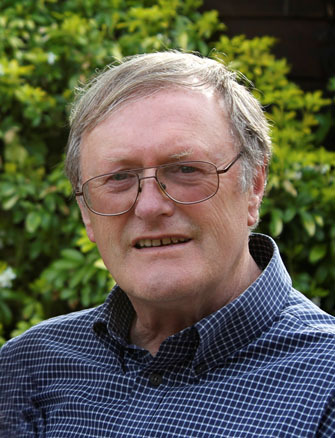 Terry is married to Pam, has two daughters, both married to ‘local lads’ and has two four-year-old grandchildren, who keep him active when he is not researching for future publications. Terry and Pam have also looked after the same tortoise for over thirty years. The extended text and detailed result tables in this revised edition are amply supported by approximately 600 photographs, including many that have not been published previously, with other supporting material. The author has, over the past three years, managed to uncover an amount of documented and photographic material. It enables the author to relate ten years of Mid-Atlantic motor racing history from 1953-1962 in this book. This two-volume set, illustrated with many previously unseen photographs, traces the history of the raceway during its active years and describes the personalities involved in the changing fortunes of the course until its closure in 1977.